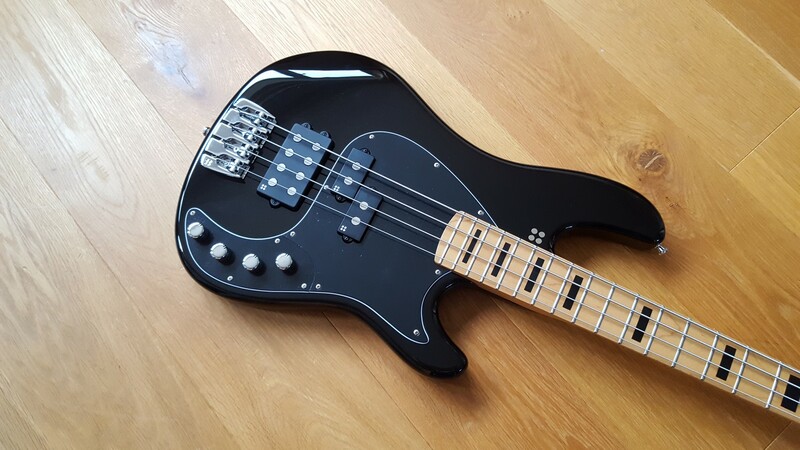 I spent quite a bit time deciding on the exact specs for this bass, but I must admit I think I got it about right – it looks fantastic. 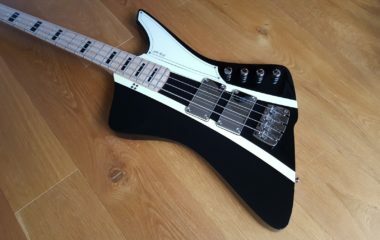 It’s black, with black scratchplate and black block fret markers. It also has a matching headstock. 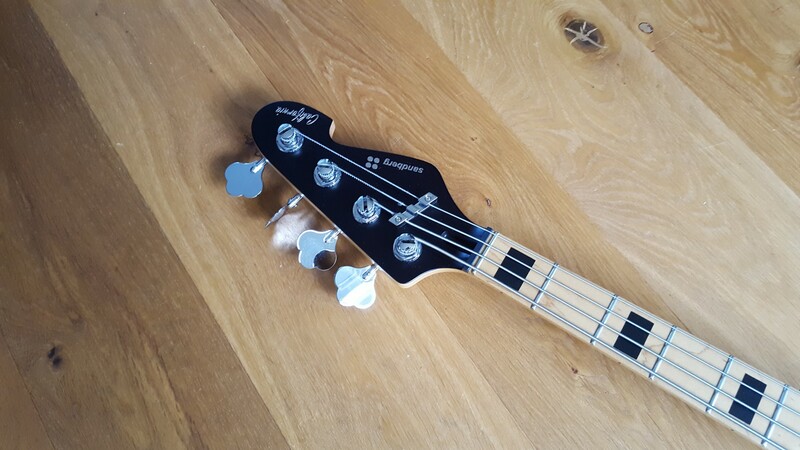 But what really sets it off is the chrome hardware – the contrast looks really good. 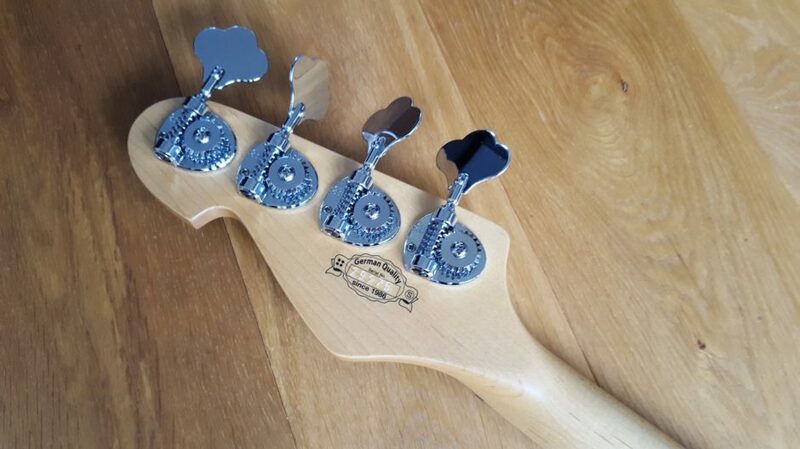 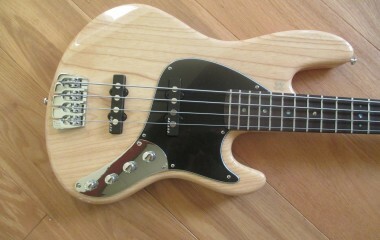 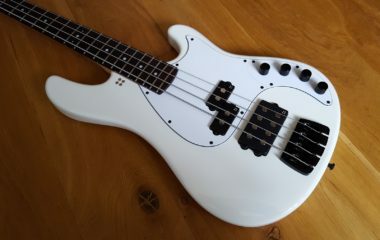 The slight downside is that the block fret markers and matching headstock are expensive extras which adds hundreds to the cost, but it does give the bass a unique, exclusive look. 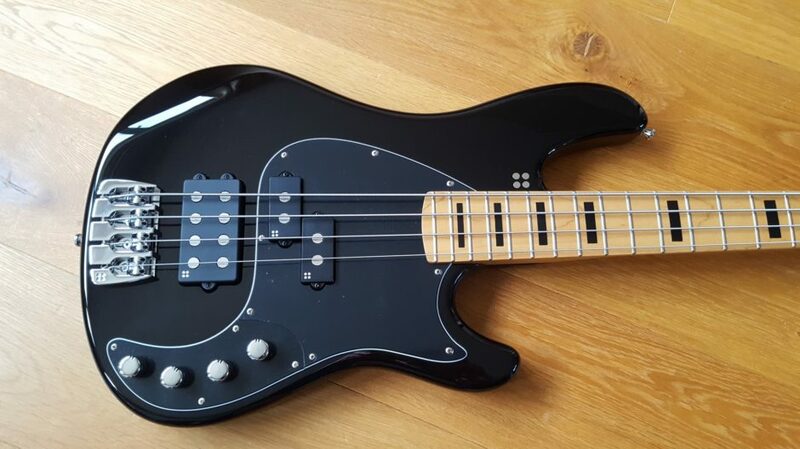 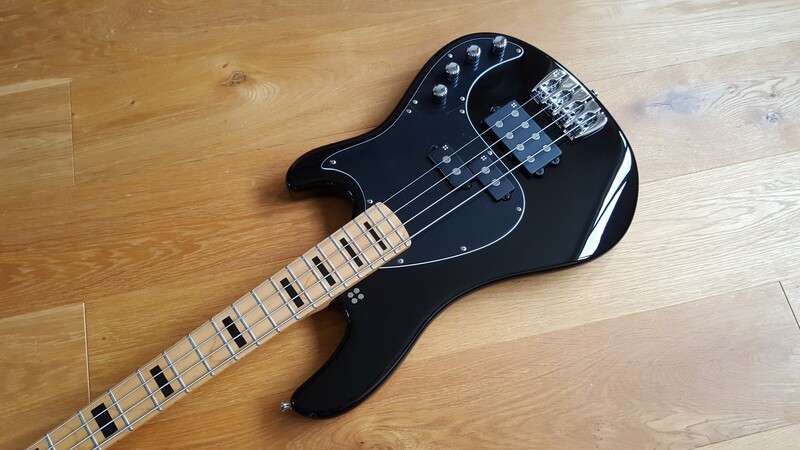 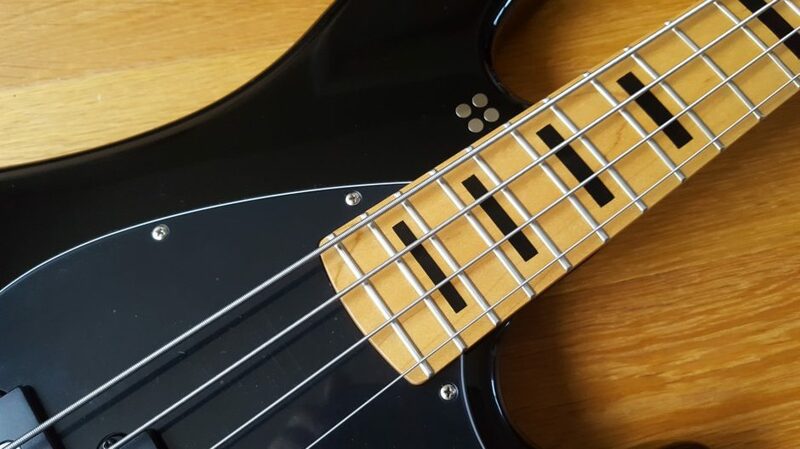 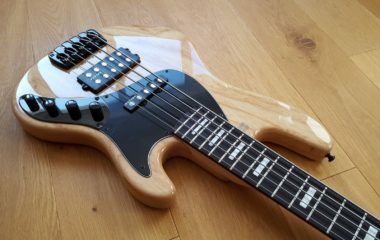 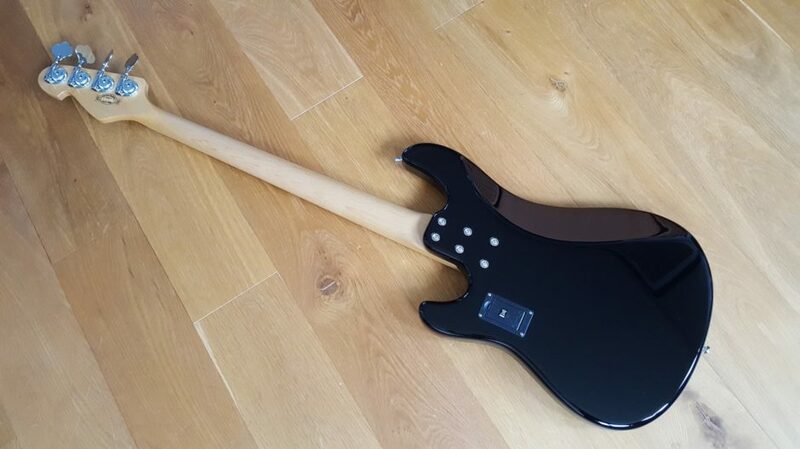 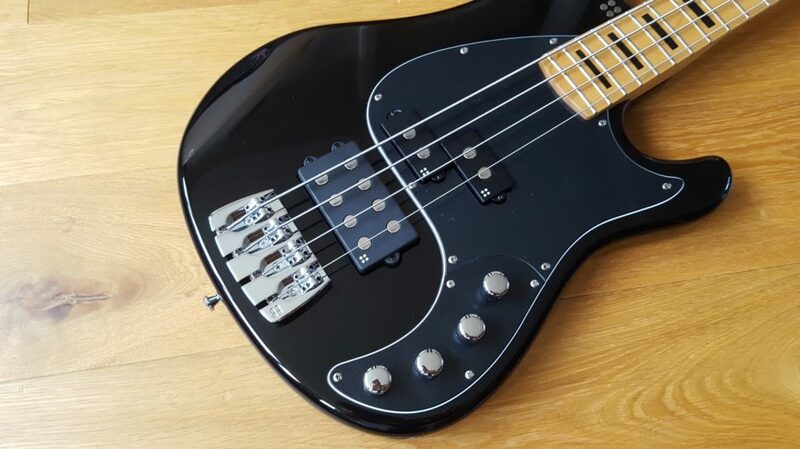 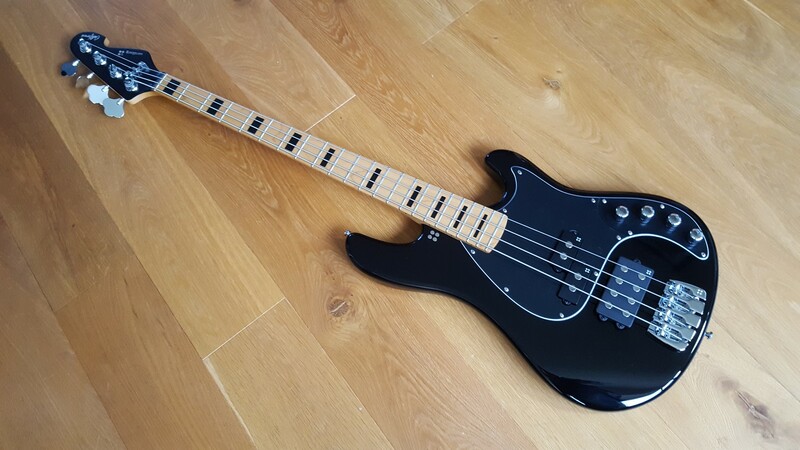 However, looks are just one part of this bass – the other becomes apparent when you play it: lovely fast neck, low action, it really is easy and rewarding to play. 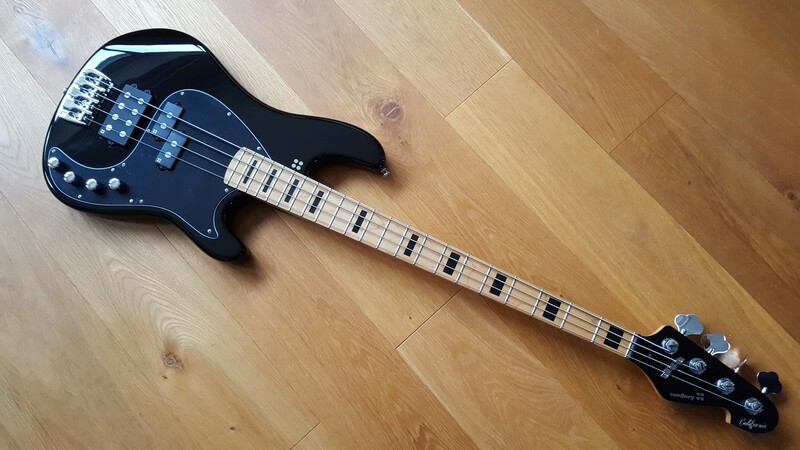 It’s brand new and comes complete with the Sandberg gig bag, tools and manual.